June 10, 2013 by Jordan D.M. THE GIRLS IN THE BAND filmmaker Judy Chaikin will participate in Q&A’s after the 7:40 PM screenings at the NoHo 7 Monday 6/10 through Thursday 6/13. 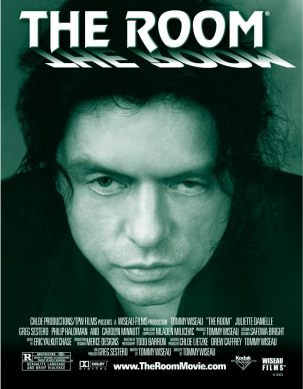 Q&A’s with THE ROOM director/star Tommy Wiseau and co-star Greg Sestero June 28 and 29 at the NoHo 7. Buy your tickets now. May 31, 2013 by Jordan D.M. FREE SAMPLES director Jay Gammill will participate in Q&A after the 7:40 screening Saturday night at the NoHo. GENERATION UM… director Mark L. Mann and actresses Adelaide Clemens and Bojana Novakovic will participate in Q&A’s after the 7:10 PM screenings at the NoHo 7 on Friday and Saturday, May 3 and 4. Keanu Reeves will join them for the Saturday screening.